Hi everyone!! I hope you had a great weekend!! I certainly had! We went to Piran, a town on Slovenian coast. It was sunny, warm and we had some great sea food for lunch there. And the kids enjoyed the time at the beach (they were throwing stones in water and that’s all they wanted to do 🙂 ) and it was great to breathe the fresh salty air. And this was the mani I had on my nails there, a simple coral dotticure. It’s bright and just perfect for the time we spent at the coast. First I applied two coats of Cirque Colors – Lox and Sable, a beautiful light and bright coral/pink that I reviewed here, that was a part of their Spring/Summer 2016 collection. Then I waited a bit for it to dry and then I dotted the dots with the dotting tool. 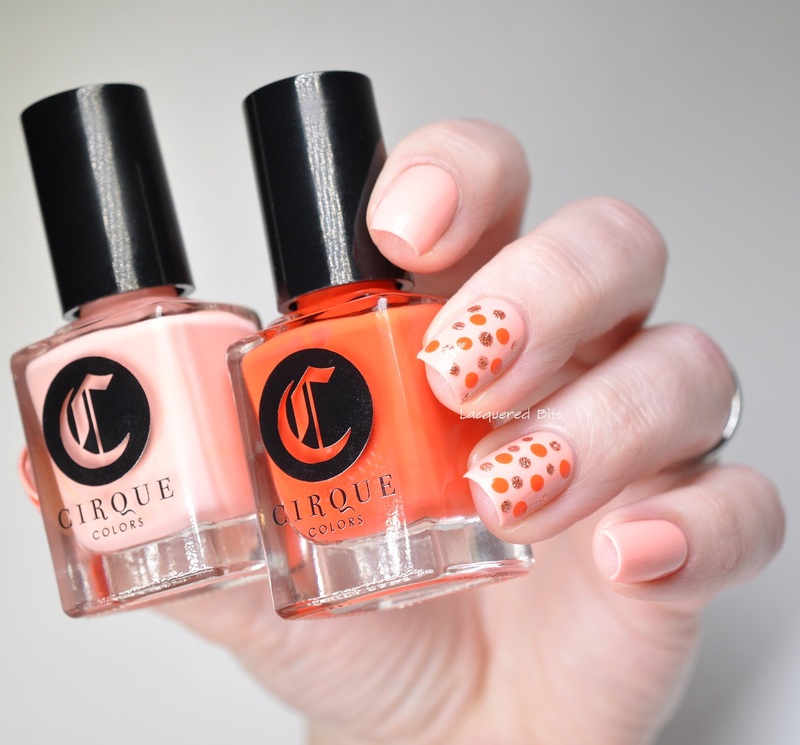 I made dots with Cirque Colors – Fire Island (also a part of Spring/Summer 2016 collection) and Cirque Colors – Halcyon, an amazing rose gold flakie reviewed here. And in the end I sealed everything with Essie – Good To Go. As you can see in this macro shot I did the flakie dots a bit smaller and the coral ones bigger. 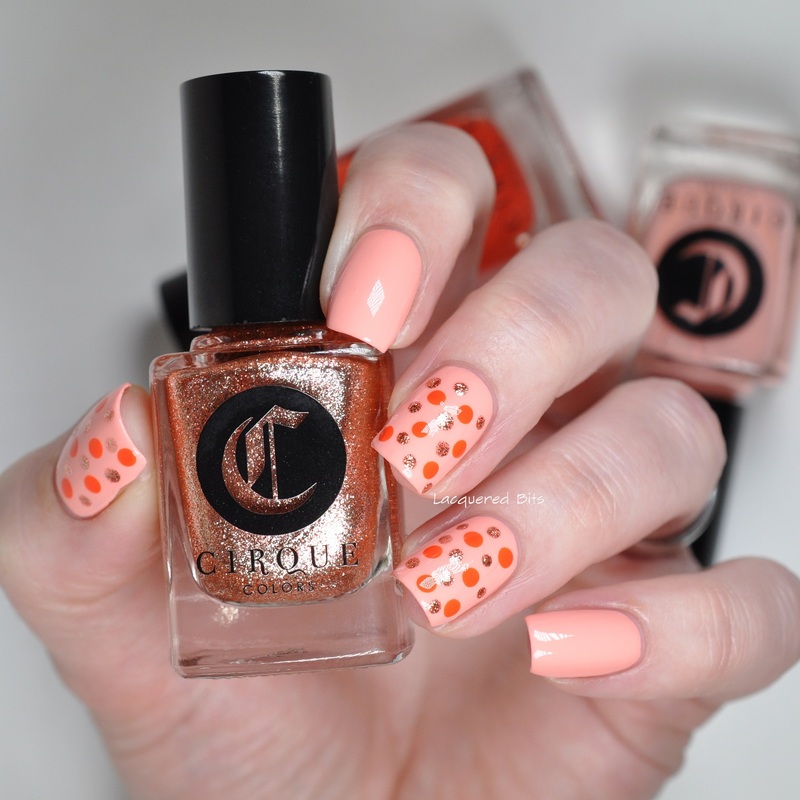 What do you think of this coral dotticure? I love it, I love how the sparkle makes it interesting and yet it is still elegant. You can expect more of this type of manis from me in days to come. Light and bright at the same time. Than you Fanni ♥ Yes, it's a peachy pink polish, a mixture of both colours.